Dubbed ‘The City of Fun’, Gold Coast surely lives up to its name with the golden climate, stress-relieving theme parks, perfect surfing beaches crazy nightlife and the magnificent city skyline to justify ten million local and international tourists in a year. The immense rainforest, the Surfers Paradise Meter Maids and the 322.5 m high Q1building also contribute to making Gold Coast a favourite destination for many. Gold Coast has some of the lowest commercial property prices. Lessees should go for it now before leasers start hiking prices in preparation for the expected boom which is on the way. Working with CommercialProperty2Sell gets you even better rates. The current prices will certainly not remain that low when the situation starts accelerating in favour of business. By getting your lease now you are guaranteed low prices for some time to come. It’s called making hay. Great Investment Opportunity. Situated in a lovely maintained complex, with its own in ground pool, entertainment area, with built in BBQ and sheltered seating. Rates more than $1000 (half year) Body Corporate Fees around $700 per quarter 24 hours notice is required for inspections. Cut yourself a nice high building pad for a new house on this North East facing block. Pick up on the views of the Polo field and a glimpse of the Golf Course. Being almost at the top of the ridge, flooding is not something you will have to consider when positioning your house site. Handy to the Village for shops, the Resort and the School. With the bus going past the front boundary your children get picked up & returned to your front gate, no need to have to deliver & collect them from the excellent school here in Kooralbyn. Talk to us about House & Land packing on this very affordable land. 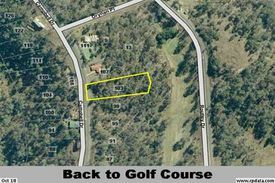 This is a great opportunity to design & build your new home on a larger than average block in Kooralbyn which overlooks the top fairway to the Golf Course. 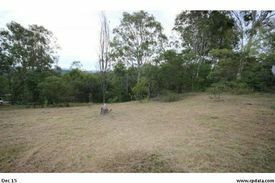 If you enjoy a nice aspect and view of the bush as well as the elevated position then this block has it all. 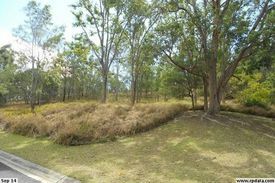 Looking for that Tree Change but want one of Queensland's best Schools yet easily commute to larger centers or partake in the Tourism that the Scenic Rim is renowned for, then this is the place to build your lifestyle property. Make the time to see this block and what sort of House you would build on it. Call Jude on 0413 327 128 or email jude.ansell@yong.com.au for further information. Sensational building site with a two level house site already formed. 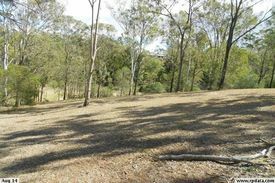 Overlooking the fairway and across to the Resort is this North Easterly aspect elevated vacant block. This is a rare opportunity to purchase a block with direct frontage to the Course and with all the services provided to the site, power, water, phone, sewage in a small community managed development. House plans available or design your own. Seldom can you buy a property with so many excellent options and features. Magnificent setting with commanding views over the Valley below and the beautifully maintained back yard with its sparkling in ground pool. Here we have an Extra large Residence, ideal for an extended family as well as a detached self contained single bedroom Cottage, great for who ever needs their own space. Currently being tenanted providing a supplementary income. The main house is well designed for Family living and entertainment with all of the separate living spaces and may be ideal as a Bed & Breakfast setup with the Main bedroom well away from the other 5 bedrooms. The covered entertainment deck is massive and could host the largest of Family get together's in all weather. For the Man on the land, He has His own escape area ( Man Cave ) with a large well setup work area also has its own toilet. The 1.5 Acres are nicely landscaped and easily maintained, good usable grounds for young ones to run around while being watched over from the full width balcony above. Seeing is believing and this is one to see. Positioned beside the Golf Course and adjacent to the Polo Fields is this 9,241m2 corner block with 2 Lots and a lapsed D A for 8 detached homes each designed with about 600m2 land. The lapsed D A was for the 8 houses to be set on the top side block, while no plan was submitted for the lower block, however a concept plan was done by the Owners for a Unit development on the second Lot. The zoning supports this medium density development and Council have confirmed the D A as it stands could easily be renewed. The options are quite large in terms of what this site could support, subject to council approval as always. 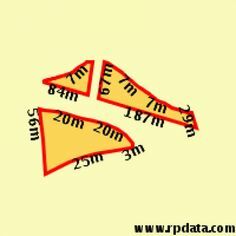 Develop the 8 homes on Lot A with its 4,805m2 and decide on adding more homes on the remaining 4,436m2 Lot B. Alternatively you might mix it with a small Town House or Unit complex, perhaps just a couple of lovely big homes in this prime position. This site is one of a very few in The Valley which has all the services available at the boundary. Full town water, Sewage reticulation, Power & Phone. 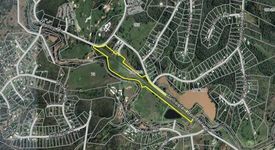 Here is an ideal Residential development site with a plan available for 6 detached homes. Options a plenty. Develop as you go, one house at a time, great for an Owner Builder. Alternatively for an Investor or Developer. Build all 6 to sell , Build 6 and keep one back then pick up the rent on the remaining 5. The land is suitably zoned to take this medium density development and what makes this block so special is the site is fully serviced with Town Water, Sewage, Power & Phone at the boundary. 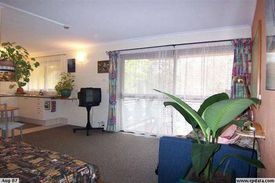 Easy walking distance to The Golf Course or local Village shops. The international school is just 1.5klm away, Beaudesert is 25 minutes drive to major shopping and The Gold Coast or Brisbane CBD is about 1.5 hrs drive. 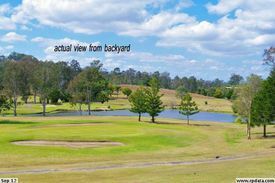 Lovely position overlooking Par 3 of the fairway is this fully serviced gently sloping vacant block. House plans available or House & Land Package already designed to suit the block. This is a special enclave of quality homes in a small Community Titled Estate. What more could you wish for but to have your own brand new home built to your specifications. walk down onto the the golf course from your back door. just a short distance to the Village shops, for a young family, send the Children to the International School just 1.5klm away. Just 25 minutes drive to Beaudesert for your main shopping or 1.5 Hr drive to Brisbane CBD or The Gold Coast. 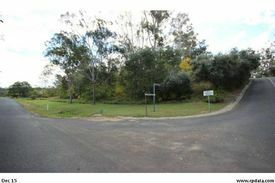 Call Jude now on 0413 327 128 or come and inspect this lovely spot to plan your next home close to the Resort. ï¬ 1.9 HA huge vacant land ï¬ Water, Electricity & Sewage Available ï¬ Close to School, Shopping center, Golf Course & Pavilion Taven ï¬ Multiple Zoning Size ï¬ Will BE SOLD SOON, CALL NOW. 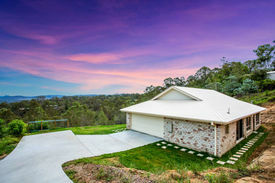 Addressï¼1 Kooralbyn Dr, Kooralbyn. Priceï¼Offer From $290,000 Inspectionï¼Open. Own Your Own Equestrian & Polo Fields! Polo 1 $1.5m Polo 2 &.. This wide frontage property situated high & dry overlooking the valley towards the lake would be a wonderful place to have your lovely new home that captured the uninterrupted views. All the services are at the kerbside with Power, Water & Phone. Conveniently located to be close to the shops, not far from the school and just under 30 minutes to Beaudesert or an hour or so to Brisbane or the Gold Coast. Talk to us about the House & Land packages available to suit this block. Come home to your new house and enjoy the natural life of living in the Scenic Rim Kooralbyn Valley. This two level Villa has been extensively renovated and made to maximize the living space along with the covered Patio / Sun room which overlooks the parkland. Enjoy the peaceful atmosphere with this Villa's Northern positioning and yet be close to the Resort, Golf Course, Shopping Center, Pool and Tennis Court., Restaurants & Airport. Wonderful upstairs Bedroom with loads of storage space. Here is a property for sale where the big changes & improvements have already been made, this is your chance to secure a well positioned Villa. Inspections by appointment any day call today for yours.